Following on from their original Edge HD Mini PC which when released was hailed as the smallest PC in the world. Edge have now launched their second creation the Edge HD2 Mini PC which provides everything you need to create a great little media centre system ideal for a home theatre setup. Within the small case Edge have packed in a second generation Intel Atom D525 1.8GHz with 1 MB Cache supported by 2GB of DDR3 memory, nVidia ION2 graphics with 512MB RAM and a 320GB hard drive for storage. Together with one high speed LAN port, 4 x USB ports and a full HD (1920×1080) HDMI interface or VGA if required. 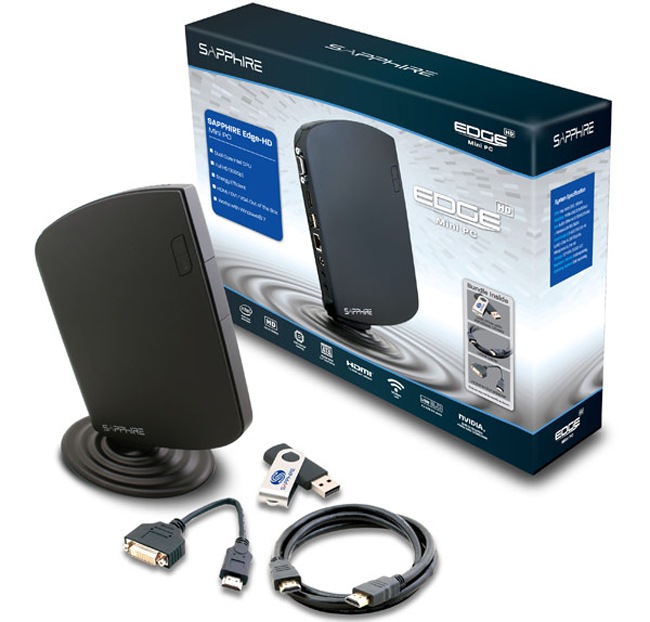 The new Edge HD2 Mini when available will also have the option of being loaded with either Windows 7 or FREE DOS. Unfortunately no information on pricing or worldwide availability has been released as yet by Edge, but as soon as it becomes available we will let you know.